Please use the image gallery for your pictures, a short tutorial can be found here. The first image in the first post will be shown in the project gallery. 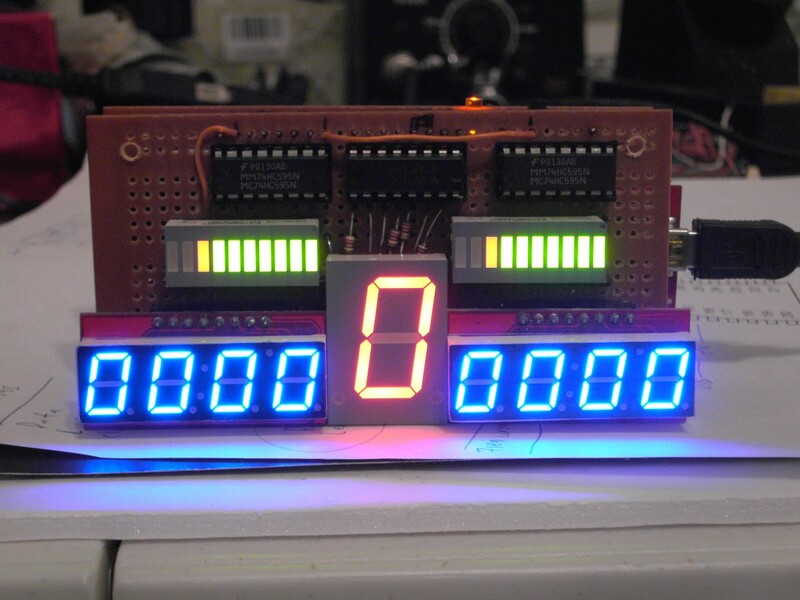 on the complexity of the 7segment circuitry for a project like a car digital dashboard. So the total cost of this project is only $19.98 !! And here with two TM1638 displays, were the second displays the PRM as numerical. Here is the code for this first version. I hope next version will has some use for the buttons as well. // You can set the USO pause safely to 10ms for nice fast refresh rates! rpmdata=1; // we got new data! speeddata=1; // we got new data! geardata=1; // we got new data! Here is the saved profile that contains the math and the axis definitions for the rpm/speed/gear along with some photos of the settings. Newer version with bigger Gear Digit! 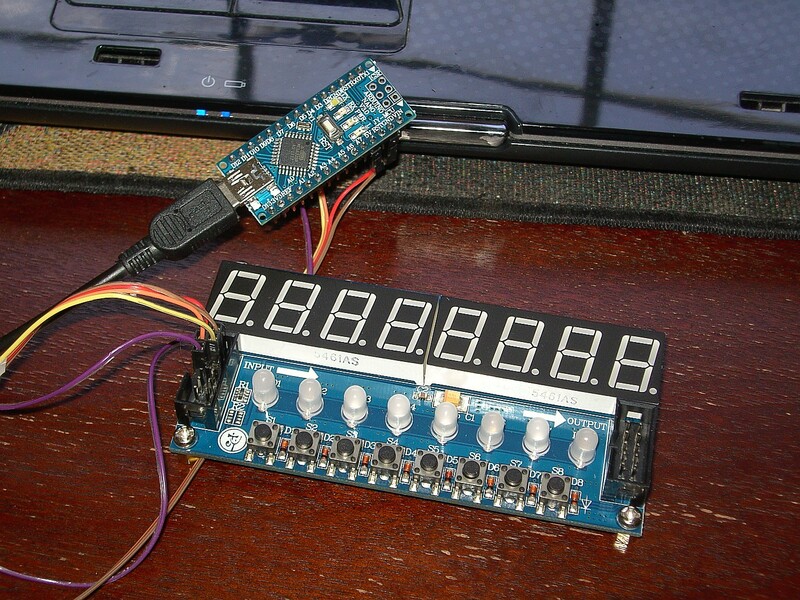 could you explain how to wire up the arduino with the display? and , can i use the arduino uno for this? The wire connections are in the code. Any arduino is compatible! If you want more data on the screen you could modify the code to accept more data (x-sim axis/gauge information) and assign them to the buttons of the screen so you can choose what to display. I provided the skeleton code for that, and its up to you or anyone that is interested to play with it, to adjust it to their needs. I simply don't have unlimited time in my hands to do everything. I hope you understand my position. thank you very much for the reply and sorry for my English, I use a translator. I am working with codes. when you achieve a breakthrough in the project, I'll post. Tnxs for the information that you've posted. I just buyed the parts and hope to get it within a few weeks . I will use your code as a solid base and i will post some updates here. I just slightly modified their source code. I'm going to post my source code and x-sim setup guide later here. P.S. Fake AutoMeter tacho. from China works really slow. I recommand you guys not to buy it. 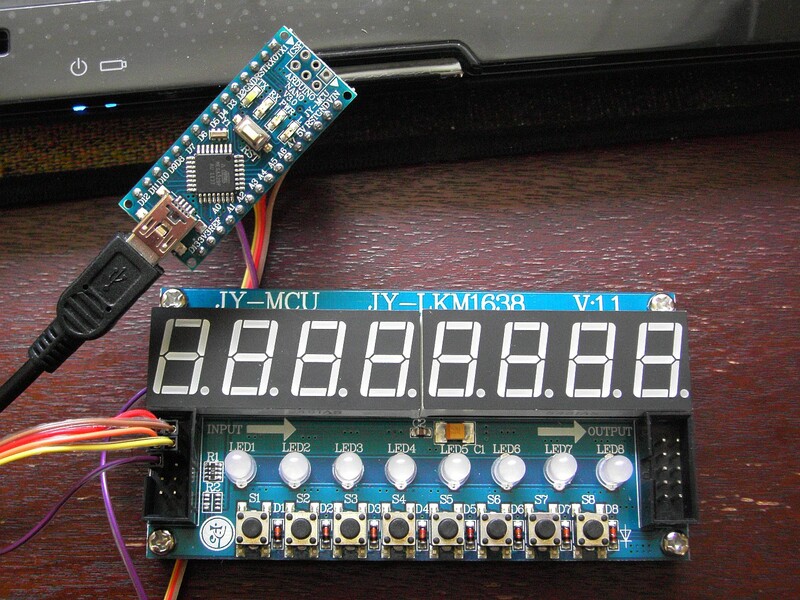 I'm happy because I achieved today programing the arduino nano v3 with your code.After a little bit concentration and reading web site about how to use programation Arduino I matched to test the dashboard as like you presented in this topic. Many thanks to you because all you've done work , all you 've done is very functional and usefull and the last but not the least easy to make and cheap!! If you have some time I'm interested in realy understand how did parameterise xsim for displaying the right values on the display , for exemple the value for the calibration offset in Math setup for the Speed - 2147483648 !!?? ).I just noticed that if you change this the speed displayed is wrong !! For the europeen driver which would like the speed in km/h and not in mph just change the maximum value in the extractor input from 104856 to 65154 .You didn't give this information Thanos I believe. 65154=104856/1,6 with 1,6 the rate between mph and km/h. Last edited by vicpopo on Tue 6. Nov 2012, 00:59, edited 1 time in total. A little video for the test as usual.